Kenny Hoo is the Founder & Chief Researcher of GOOD FENG SHUI® Geomantic Research, a research-based company that actively involves in providing professional Feng Shui (Geomantic science) research, authoring，seminars and consultation services for domestic home, business, factory, hotels & resorts, township, property development & ancestral graveyard. Kenny graduated from National University of Malaysia with a Bachelor Degree (Hons) in Computer Science. He served in many multi-national & public listed corporations as Regional Director, General Manager, Sales Director, Account Manager & Systems Engineer, prior to his full-time involvement in Feng Shui field as a Researcher & Consultant using scientific approach. As an added advantage, his regional corporate career path offered tremendous opportunities and exposure to various good Feng Shui Masters and schools of thought in the metaphysic field. Through this channel, he gained valuable solutions by doing vast research and studies through various old Feng Shui and Yi-Jing Masters from Taiwan, China, Malaysia and Singapore. Mastery in both Chinese and English languages, he derives a unique strength in using the skills and technologies acquired from both the Oriental and Western worlds in his research works. With strong technical, sales and marketing experiences in IT & Telecommunications fields, Kenny combines the traditional Feng Shui methodology with modern, scientific tools & technologies in his unique Geomantic research and studies. Through the convergence of various schools of thought and in-depth Yi-Jing theories, Kenny has formularized a very unique Good Feng Shui CONVERGE SECRET WATER TECHNIQUE® that captures great attention and impact in the Geomantic arena. Over the past 15 over years, through his very unique scientific approaches, Kenny has been promoting Chinese culture and arts as Digital-, Binarycoded-, Multi-dimensional- and Relativity-related. He is one of the outstanding influential personal who revolutionizes especially in the implementation of the art of Feng Shui in the modern era. 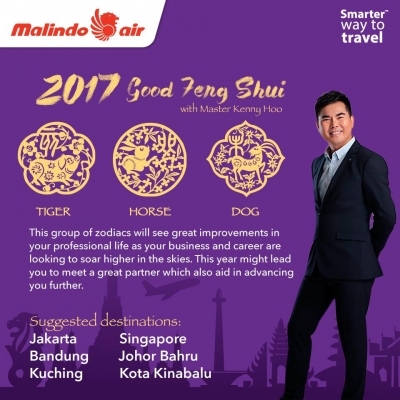 For more video clips about Master Kenny Hoo and Good Feng Shui, please search within Youtube.com for: "Kenny Hoo", "Kenny Hoo Good Feng Shui". 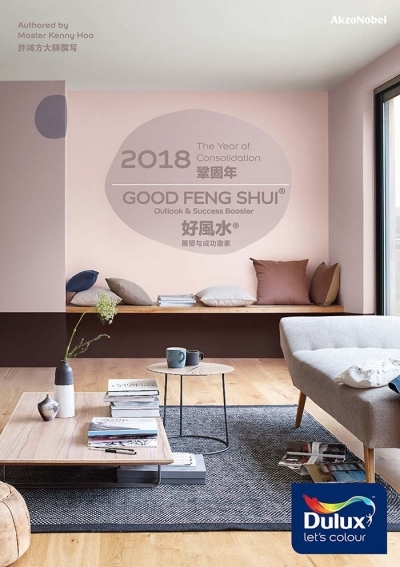 In 2005, Kenny and GOOD FENG SHUI were awarded TWO (2) International TOP-10 Quality Awards from Taiwan, R.O.China, being an official recognition from the Government-linked organization. This positions him differently from other Feng Shui Masters. In 2009, Kenny was recognized by the Chinese Cultural Information Association (中國文化信息協會) from Mainland China, as one of the most outstanding person in promoting the Chinese culture and Yi-Jing teachings towards a more peaceful world. Kenny was awarded as the Ambassador of Chinese Culture. In May 2013, Kenny was again awarded in the Chang San Jiao Yi-logy Summit Conference (长三角易学高峰论坛) in Shanghai, China, as the great recognition towards his efforts and contribution in the teaching and promotion of Yi Jing and good Feng Shui knowledge and implementation worldwide, over the past 15 years. With the combination of talent, creativities and formal scientific educational background, Kenny researches and explains the concepts of Feng Shui and Destiny using scientific approaches. His scientific & technical background also enables his research in Yi-Jing, Feng Shui & Destiny involve with the studies of DNA codes, Binary System, Medical, Physics, Environmental, Life Sciences, Chinese History, Culture, etc. For instance, his recent research work shows that there is a very direct relevancy between the DNA codes and Yi-Jing 64-Gua. This interesting discovery has been elaborated in his recent seminars & articles. It has captured great attention & interest from various intellectual groups especially in the Western world. Kenny is currently writing more articles about this finding as this may serve as an alternative approach in today's DNA research works. Kenny is also one of the very first researcher worldwide, who combines the teaching of Yi-Jing, NLP, Hypnotism, Business Management, Human Behavior Study and GFS Lifepath Management into personal motivation, Lifepath development, enhancement, and risk & opportunity management. Kenny was appointed as the spokesperson and ambassadors for AkzoNobel’s DULUX (“lets colour”), Washington Apples (“The Best Apples On EarthTM”) from USA, MBG Fruit, Mouawad Jewelry. He also serves as the professional consultant to some international brands such as TIGER Beer, Techlane Karpersky, ETSU Japan, Eu Yan Sang, Nirvana Memorial Park, Perpetual Memorial Park. JJ Nail, AIA, Raffles Hotels & Resorts, The Four Seasons Hotel & Resorts, The Astaka @ Bukit Senyum Johor Bahru, Westlake View, O2 Residence, just to name a few. Through his creativities, Kenny combines the artistic elements with Feng Shui. His unique approach further enhances aesthetically in the Good Feng Shui implementations. 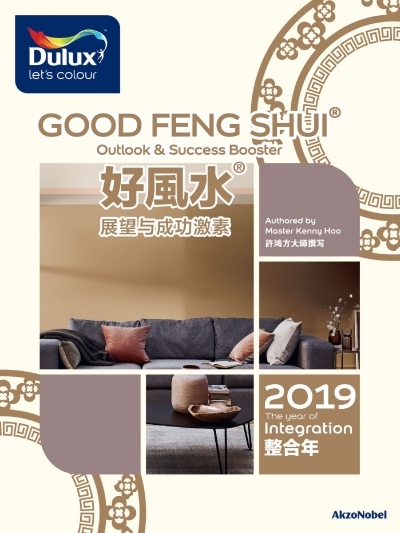 For instance, Kenny was appointed by AkzoNobel's Dulux and JJ Nail Group, as the spokesperson and conceptual designer for the world’s very first Good Feng Shui “functional” paints colours, pedicure and manicure designs. Kenny's mission is to help as many people as possible to be more joyful and balanced in life, via the effective use of Good Feng Shui techniques. His scientific approach and teaching in Feng Shui always avoid the infusion of superstitious or misleading elements or information. Through his practice, seminars and articles, he strives to clear the doubts or misconception in Feng Shui amongst the layperson. 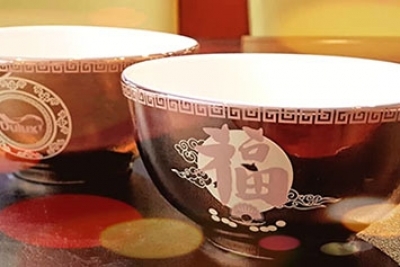 Especially in the recent years, the public has been confused by lots of misleading information about Feng Shui, which in turn could have polluted the good name and use of authentic Feng Shui skills. Kenny and GOOD FENG SHUI® ‘s customized Geomantic service includes an unique Lifepath analysis. Such unique analysis allows the clients to understand their lifepath clearly and achieve the aim of "doing the right-thing at the right-time". Thus GOOD FENG SHUI® helps one to LEVERAGE OPPORTUNITY and MINIMIZE RISKS in life, through GFS Lifepath Management methodology, and makes the efforts more effective. The above said unique techniques help to ensure the customized Feng Shui arrangements take effect within the shortest period of time. 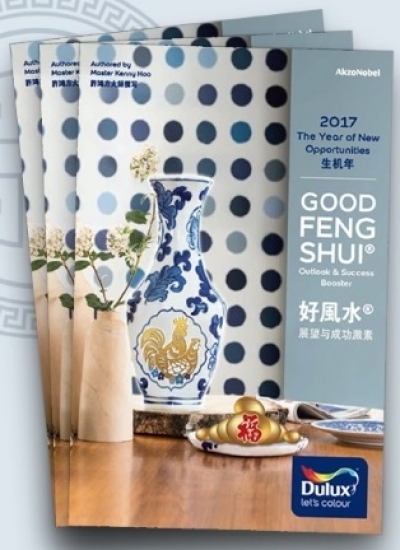 Since the past 15 over years, Kenny and GOOD FENG SHUI® successfully helped many people from different walks of life in achieving a better quality of life, through his Good Feng Shui services. There were people who suffered from sickness, trouble in business, relationship, etc. Various resorts had been sought for the betterment of their situation but still did not see the sight of improvement. Kenny managed to turn the situation around via the implementation of Good Feng Shui. Through his unique services, they live more happily and confidently in facing challenges in life. Holding an 4th Degree Black Belt in Tae Kwon-Do sports, Kenny is also an endorsed International instructor & coach with the experience of operating a few gymnasiums. 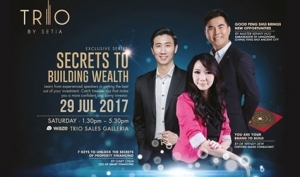 He is recognized as an active Leadership Team member of Business Network International (www.BNIMalaysia.com). On top of that, he is actively involved in authoring Feng Shui and Lifepath articles and researches. He spends his leisure time in music, reading, photography, gardening, jogging & traveling. The Astaka @ 1, Bukit Senyum, Johor Bahru – a mixed development project, by Astaka Padu Sdn Bhd. To build the tallest residential towers in skyline of SEA namely The Astaka. This particular project adopted Good Feng Shui Converge Secret Water Technique® by Master Kenny Hoo. It was recently opened for sale and received tremendously great market response. Auto Bavaria - BMW showroom, workshop and the sales and admin offices used Good Feng Shui Converge Secret Water Technique® to further enhance its sales and business operation. Kingdom Hotel Investments (Dubai, UAE) - Professional Good Feng Shui consultancy services for its worldwide, new and expanding hotels & resorts projects. KHI, is listed on the Dubai and London stock exchanges. Headquartered in Dubai (UAE), it is a leading international premium hotels and resorts owner, developer and operator. The Four Seasons Hotels & Resorts - Good Feng Shui consultancy and design for its new development and expansion project in Asia, e.g. Langkawi, Malaysia. Raffles Hotels & Resorts - Good Feng Shui consultancy and design for its new hotel & resort development in Africa & Asia, e.g. Seychelles, Vietnam. O2 Residence in Puchong, Selangor – A mixed development property project by Perfect Eagle Development in Puchong, Selangor, Malaysia. Country Heights - Good Feng Shui consultancy for the club house, sale office & a new equestrian sport project. Mammoth Empire Holdings - Good Feng Shui consultancy for "The EMPIRE" commercial property development project. Eu Yan Sang Group - Good Feng Shui consultancy for its HQ & Health Cite one-stop healthcare centre at Shaw Parade, and its GMP factory. Nirvana Memorial Park (www.NVMC.com.my) - Good Feng Shui consultancy for the world largest cemetery land developer. Bentley Music Malaysia – One of the most famous name in the music business in Malaysia and the largest importer and sole distributor of some of the world's top instrument brands. AIA Shared Services, established in May 2009 and is a captive shared services organization providing off-shore and outsourcing services for the AIA Group. Zurich Insurance – One of the leading insurance companies in Malaysia. Techlane Resources – Master distributor of the No. 1 name in anti-virus systems, Kaspersky. WenZhou Kaida Glasses Industry & Commerce Co. (China) - One of the largest glasses & lens manufacturer in China. ZheJiang SenKen Industrial Stock Co., Ltd (China) - One of the largest security system manufacturer in China. Netsis Technology - one of the pioneer in computer hardware supply & distribution In Publishers - One of the most established Interior Design, home decoration and hair do publisher in Malaysia. Business Network International (Malaysia) - the world's No.1 Business Referral Organization Linfox (Malaysia) - Asia Pacific's largest privately owned supply chain solutions provider. AmInvestment Bank (AmBank Group) - One of the leading commercial bank in Malaysia, public listed on KLSE. APR Electronics - one of largest new & refurbished computer supplier in SEA, and many other multi-national corporations. These international awards were presented by the International Chinese Industry, Commerce, Economy, Trade, Science & Technology Development Association in TAIWAN, R.O.C. It is an official recognition from the Government-linked organization towards Kenny's research & studies in the Geomantic science.